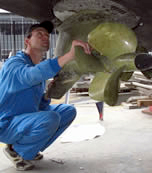 A comprehensive inspection that usually requires hauling the boat out of the water (see The Survey Process page). During the survey, we’re happy to talk the buyer through the inspection procedure, pointing out areas of concern and detailing technical solutions. Often the survey fee pays for itself when the purchase price is renegotiated as a result of survey findings. Our in-depth report also contains photos and recommendations, and may be used for insurance purposes. 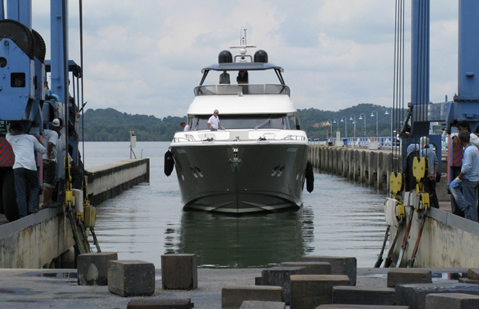 Sea trial, engine oil sampling, yacht tender inspection/trial and upper rig check can be included. When a yacht is damaged, and the claim is covered by insurance, more often than not there is a conflict of interest between insurers and the vessel owner. The surveyor appointed by the insurance company seeks to minimise claim costs, which can lead to damage being overlooked or inadequately repaired. To protect your interests, you need an independent damage survey. Alternatively, an insurance company may ask you to appoint an independent surveyor to produce a report on the damage and substantiate your claim. Either way, we can help. Underwriters may require a condition survey and valuation before insuring a yacht for a new owner. Most insist on periodic surveys for older craft. As well as carrying out the routine insurance inspection, we allow enough time to discuss concerns that you (the vessel owner or captain) may have, and suggest practical remedies to maintenance problems. Many buyers presume that a new boat will be perfect and problem-free. The reality is that modern boats are so complex, there are inevitably installation and operation issues, not to mention transportation damage. A commissioning survey aims to find the annoying teething problems and warranty issues at handover stage, so that instead of waiting in port for your new boat to be fixed, you can be out on the water enjoying it. 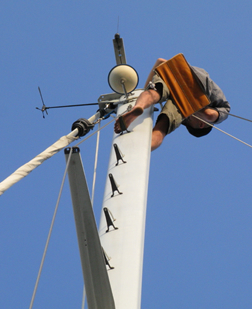 surveys, but a yacht specialist is in the unique position of knowing how to assess structural damage, chafe of gelcoat/finishes and weathering. If you’re too busy to view a motor yacht or sailboat yourself, or would like a second opinion, this is an inexpensive way of determining whether it warrants further attention. While not as detailed as a full pre-purchase survey, the marine surveyor gives you a feel for general condition and value for money, just as an experienced friend might do. Yacht valuations are often required for insurance, legal or financial purposes. We carry out an inspection, and substantiate our valuation in a formal report. If you’d like guidance on how to use, maintain or improve your boat, we offer a personal tutorial service. 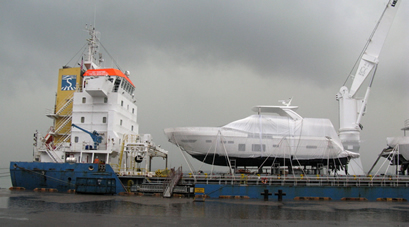 We often include this, while helping owners to deliver a new boat to their home port or holiday destination. If you let us know what your objectives are, and how much time you have available, we’ll design a program to suit. Is this the right boat for your bluewater voyage? Is it safe to take your family to sea in? What’s involved in customising this boat for your personal cruising style? With 100,000 ocean miles behind us, we offer you this unique service and the benefit of decades of cruising experience. Talk to us about design, safety, condition and the equipment required to cruise offshore.